Hey FC folks. A new opportunity for you all… I'm not familiar with this organization, but from a quick glance at their website, it seems they're doing some important work. See for yourself: https://globalpressjournal.com/. Info about the gig is below. Global Press is recruiting freelancers to join our on-call talent network! We are looking for passionate and experienced fact checkers, copy editors, translators and multimedia experts. Global Press exists to create a more just and informed world by employing local journalists to produce ethical, accurate news coverage from the world's least-covered places. We train and employ local journalists to report from their home countries and then employ a global network of editors, fact checkers, translators, copy editors and producers to ensure a world-class product. If you are interested in applying to join the network, please email a resume, your availability, a letter of interest, and any questions to Ilana at Ilana@globalpressjournal.com. At $150 per workshop, each three-hour session will cover radio, podcasting, film, documentaries, storytelling, oral histories, family histories, news and other multimedia platforms. From the nitty-gritty of recording equipment to more abstract thoughts on how to build a story, The Kitchen Sisters have got you covered. Time again for The Kitchen Sisters Recording, Interviewing & Podcasting Workshop. Davia Nelson is holding a new one on Thursday, December 8 at Francis Coppola's historic Zoetrope building in San Francisco. This three-hour session is designed for those who want to acquire and hone their skills for radio, podcasts, film, documentaries, storytelling, oral histories, family histories, news, and other multimedia platforms. The Workshop covers interviewing and mic'ing techniques, sound gathering, use of archival audio, field recording techniques, recording equipment, how to make interviewees comfortable, how to frame evocative questions that make for compelling storytelling, how to build a story, how to pitch a story, how to create a podcast, how to listen. The session is customized to fit the projects you are working on. So come ready to talk about your stories and ideas too. People who have attended in the past have come from radio, film, multimedia, detective agencies, farms, music, newspapers, journalism, photography, oral history, historical societies, ophthalmology, writing, libraries, archives, web design, restaurants, health care organizations, cheese-making and beyond. The groups are always lively and surprising and good contacts are made. Morning Workshop: 10:00 – 1:00pm / Afternoon Workshop:2:00 – 5:00 pm. Come in the morning or come in the afternoon, just sign up for one. The workshop is in North Beach at 916 Kearny St. on the 6th floor. Of course snacks from Cafe Zoetrope will be served. 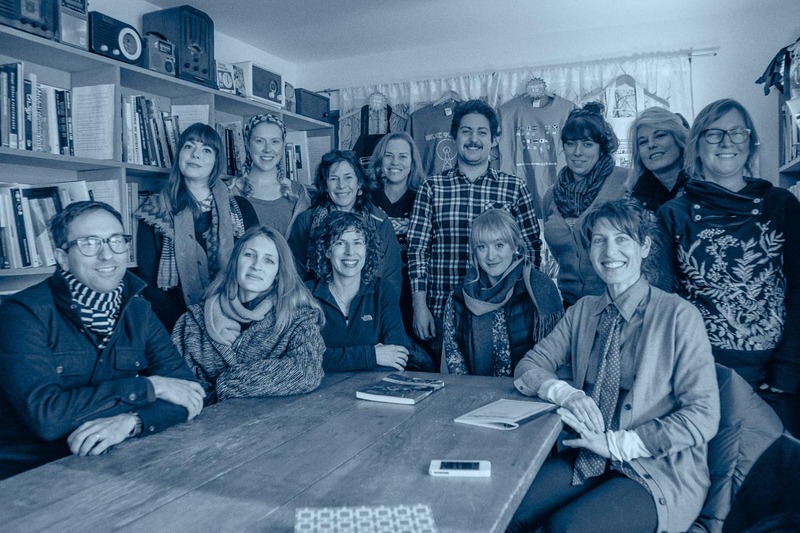 Oral History Summer School is a cross-disciplinary program in Hudson, New York that offers training in oral history methodologies and documentary approaches using an immersive workshop format. We host foundational workshops as well as advanced training with short courses on special topics such as memory loss, mixed ability interviewing, song collection, family history, and trauma narratives/testimony. Come learn, write, record, commune, compose, preserve, sit by a fire with Oral History Winter School. We're excited to announce our 2017 winter workshops. We welcome OHSS alums and newcomers to apply. 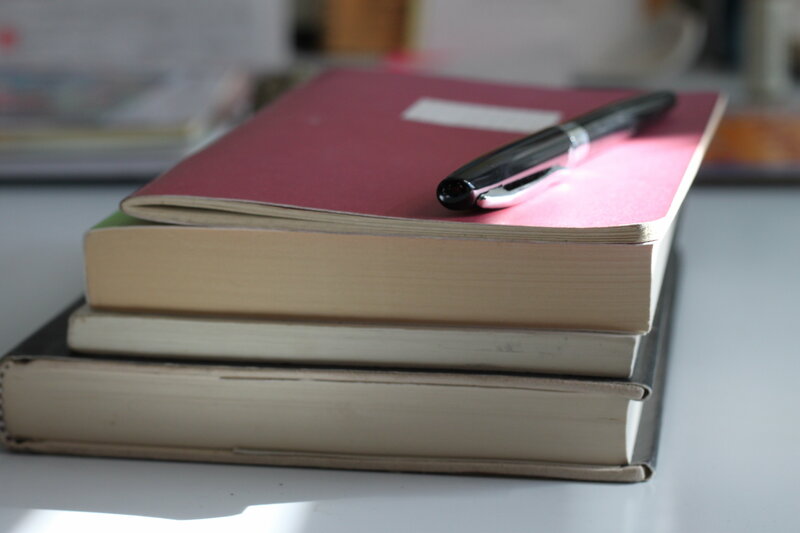 In this writing and oral history workshop, students experiment with a range of literary forms that use oral history as both source material and text. Monologues, oral narratives, documentary theater, and oral tone poetry are among the traditions already defined at the intersection of writing and oral history. We'll explore these known traditions (and invent our own) alongside more obscure genres through discussions, writing exercises, screenings, select reading, and optional workshop time. We'll be joined by guest artists/instructors. Read more, here. For many of us, family is the obvious—and sometimes most complicated—place to start our work as oral historians. 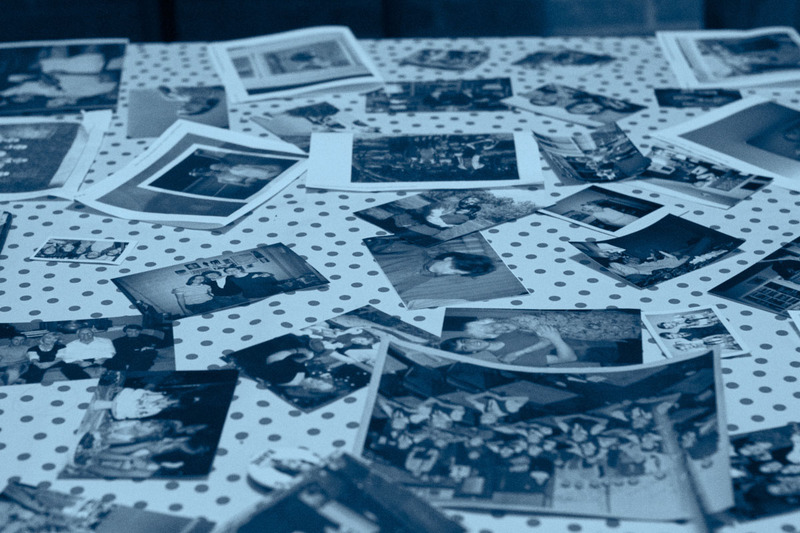 In this workshop, participants will learn how to use oral history to document and preserve their family stories. We’ll discuss common challenges: convincing your family to participate, delving into sensitive subjects and secrets, and working with interviewees who may suffer from memory loss. We’ll also discuss the potential for oral history to repair and transform relationships. Optional evening activities include a mini family-themed movie fest and an evening of embarrassing family stories, of course! Read more, here. Note: Tuition includes an OHWS workshop e-reader, OHWS workbook, an extended trial/purchase discount from Hindenburg Systems editing software, and two group meals. A detailed schedule is provided ahead of time for participants. We'll be announcing additional OHSS workshops, events, and news over the next few months. Please visit our new website and join our mailing list to stay up-to-date on all things OHSS. deadline for the Sarah Awards very, very, short, short stories contest is tonight! Hey creative people! You have until tonight to submit your entries for the Sarah Awards Very, Very, Short, Short Stories contest. Details HERE and below! 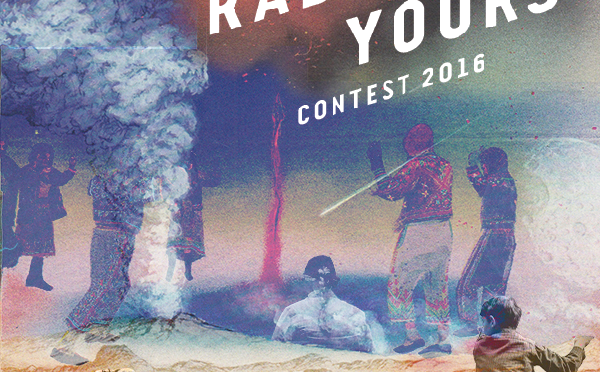 Welcome to the the 2016 Very, Very, Short, Short Stories Contest! We're excited to announce that this year we are partnering with the inestimable podcast, KCRW's The Organist. This year's winners will be featured in the forthcoming season of The Organist. Winners will also receive a free artistic interpretation of their work from artist Cal Tabuena-Frolli, a copy of Hindenburg Journalist Pro and $200. Deadline is Monday, November 21st at midnight EST. You have three rules to follow, all thought up by members of the Sarah Lawrence College writing department faculty. They include: dialogue that must be used in the story, a sound that must be used in the story, and a narrative constraint that must be used in the story. Choose ONE author for each entry. (However you can enter as many times as you wish). Dialogue: "It's a strange kind of justice." Narrative: Include the color green. Dialogue: "The dog you know you are has mange." Narrative: A woman opens a high-end shoe store in a town with 80% unemployment. Dialogue: "But I got lost in the graveyard." Narrative: The setting must be a locale where either salt or sugar is produced. Stories must be between 1-3 minutes. Stories must be uploaded as either an MP3 or a .Wav file. You can enter as many times as you like, however, each story must have the elements from one author–no mixing and matching. Stories must include all three elements to be considered as a winner. We welcome entries from around the world! However, entries not in English will need a transcript. You can work as a team, however, we can only offer 1 piece of artwork and 1 copy of Hindenburg Pro to the winners. Deadline is Monday, November 21, 2016 at midnight EST. If you have any questions, please email: info@thesarahawards.com. Hello freelancers! It's been awhile… And it's with mixed feelings I announce that I've taken a regular full time job after 10 YEARS of freelancing. I'm very excited about this new venture (as Managing Producer of Panoply's original content – check out THIS and THIS to get a sense of the fun stuff I'll get to work on) but I admit I'm having a bit of an identity crisis after championing the freelance lifestyle for so long. In any case, I plan to keep FC going as much as I can, and am looking for someone to take over the posting if you or someone you know might be interested. And if you have an opportunity to share, you can always post it to the FB page or tweet us @freelancecafe. For now, check out the opportunity below, and thanks for the long-time support of FC! Good news! 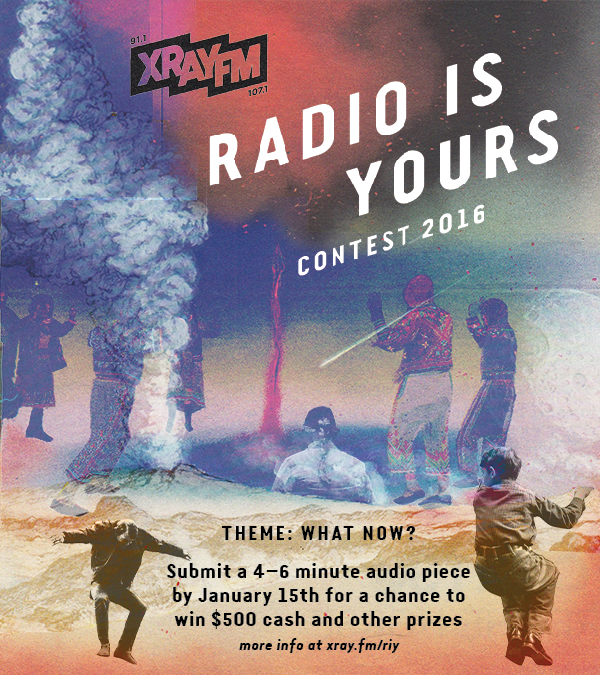 XRAY.fm is hosting it's 2nd Annual 'Radio Is Yours' Contest this winter with the theme of "What Now?" If you or anyone you know would be interested, please spread the word! All skill levels are welcome, and this is a great opportunity for beginning producers or anyone wanting to experiment with other genres. The contest just opened up and the deadline for pieces is January 15th. Cash prizes are up for grabs! All information, including prize categories, piece requirements, and how to register can be found here.